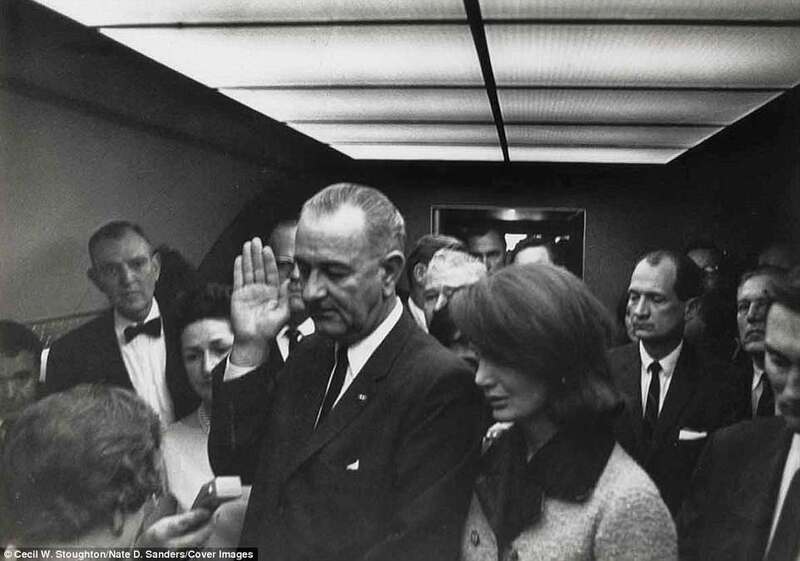 I remember discussing the 1960 Presidential election with my father after watching the T.V. Presidential debates, trying to decide who would make the better President, Richard Nixon or John Kennedy. Both candidates had similar positions on issues. Though inexperienced, Kennedy was youthful, energetic, and good-looking, and came across very well on television. Nixon was more dour and did not look good on T.V. However, my dad and I thought that Nixon’s experience trumped Kennedy’s and that this was the most important factor to consider. Of course, Kennedy was elected President and, aside from his mishandling of the “Bay of Pigs” fiasco, governed well. Although his father, Joseph Kennedy, bought the election for his son by buying votes in Cook County, Illinois, as well as in Texas, President Kennedy, aside from his womanizing, was basically an honest and effective President, and consequently is still beloved to this day by many millions of people. President Kennedy was one of the first presidents to cut taxes to stimulate the economy, something that no Democrat President would do today. Upon President Kennedy’s assassination in 1963, Vice-President Lyndon Johnson was sworn in as President and served out the remainder of Kennedy’s first term. His escalation of the Vietnamese war was unpopular but his Civil Rights legislation was (legislation that President Kennedy originated). Johnson allegedly said that “this will have the N****** voting Democrat for 200 years. African-Americans had been previously voting Republican for 100 years after Republican President Lincoln’s Emancipation Proclamation (the Democrat Party was the party of slavery, the Klu Klux Klan, and Jim Crow laws). After Republican Gerald Ford became President when Richard Nixon resigned in 1974, Jimmy Carter became the next Democrat President in 1976. Both inflation and interest rates skyrocketed under the Carter Administration, and when Carter persuaded the Shah of Iran to allow the Ayitolla Khomeni out of exile in Paris and back into Iran, Khomeni quickly fomented revolution and took over Iran. 52 hostages were taken from the U.S. embassy in Tehran, were held for 444 days, and only released 30 minutes after Republican Ronald Reagan was sworn in as President in 1981. Reagan reduced tax rates (which resulted in the Gross Domestic Product of the U.S. doubling in 10 years), strengthened the military (including the Strategic Defense Initiative, “Star Wars”), and cut back Federal regulations. All of these got the economy booming. Republican President George H.W. Bush subsequently served as president from 1988 to 1992 and had U.S. troops push Saddam Hussein’s troops out of Kuwait and back to Iraq in the first Gulf War. Democrat Bill Clinton became President in 1992, governed as a moderate, and was considered a successful President despite his tryst with White House intern, Monica Lewinsky. Under his Presidency there were 4 years of Federal budget surpluses, thanks mostly to Speaker of the House, Newt Gingrich, and Budget Committee Chairman, John Kasich. After George W. Bush served as President from 2000 to 2008, Democrat Barrack Obama became President in 2008 on a slogan of “Hope and Change,” after serving as a U.S. Senator from Illinois for 2 years, and moved the Democrat Party to the far left. 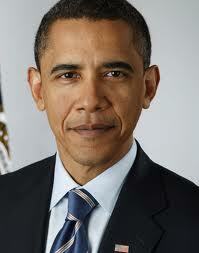 He was re-elected in 2012 and served as President for four more years. As President, Obama pushed through the Affordable Care Act (“Obamacare”) that mandated very poor healthcare unaffordable for most people except those receiving subsidies. In addition, Obama pushed the Dodd-Frank law that destroyed 40% of community banks, shut down many coal-fired generating plants and consequently lost about one million jobs, wasted billions from the Federal budget by investing in failed “green energy” “kick-back”plants like Solyndra, emphasized man-made climate change instead of sun-caused climate change, increased the National debt from $9 trillion to $19 trillion, decreased the strength of the military to its weakest in decades, did not leave a small residual military force in Iraq which resulted in terrorists regaining a strong foothold in the region, negotiated a really stupid deal with Iran which would have led to nuclear proliferation in the Middle East and possibly a nuclear war, and did not take the threat from ISIS seriously, etc., etc., etc. On January 20, 2017, Donald Trump was sworn in as President and has implemented policies which grew the economy to over 4% GDP growth after only about one and a half years in office. This after eight years of President Obama having an average of 1.9% GDP growth. The stock market went from about 18,000 Dow Jones Industrial Average to over 25,000 in less than one year of the Trump Presidency. Finally, President Trump and the Republicans in Congress significantly cut taxes on individuals, businesses and corporations which resulted in the economy growing at an unbelievable rate to the extent that I believe that budget deficits will disappear by the end of 2024. All of these accomplishments benefited almost all Americans, especially the working and middle classes. However, the Democrat Party fought against all of these instead of championing for them as it would have before the turn of this century. Today, the Democrat Party is for open borders, Sanctuary Cities, high taxes, late-term abortions, Socialism, government-run healthcare, and against ICE (Immigration and Customs Enforcement), law enforcement, gun ownership, low taxes, and the military. From Conservative Democrat President John Kennedy to Far-Left Democrat President Barrack Obama, the Democrat Party is no longer the Political Party that your father might have voted for. With the Democrat Party moving far left, why are half of voters still Democrats? That’s what we’ll examine here. The Democrat Party’s history goes way back to Andrew Jackson. President Jackson was a populist and championed the working class, though he did force the Seminole Indians in Florida to move to Oklahoma, far from their Tribal lands, with many dying along the way, thus the name the “Trail of Tears.” When the Confederacy lost the Civil War, the Democrat Party supported the Klu Klux Klan and then the “Jim Crow” laws that kept African-Americans subjugated. 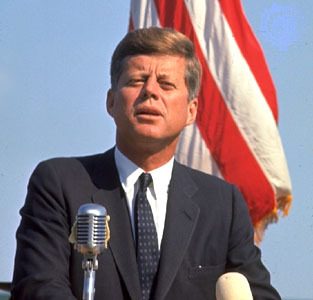 -President John F. Kennedy was the most prominent democrat in the past and many voters still think of the Democrat Party as being the Party of JFK (though it has moved far to the left from where JFK stood on issues). -The mainstream media (New York Times, Washington Post, ABC, CBS, NBC, CNN, MSNBC) are propagandists for the Democrat Party. Over 90% of their reporting on President Trump is negative and some is actually fabricated, reporting on the insignificant “palace intrigue” rather than on Trump’s substantive accomplishments with the economy, jobs, minority employment, etc. Stories that make liberals look bad are usually not reported. -Most of Hollywood is a major propagandist for the Democrat Party, using its fame with the public to sway voters. -Most Universities and colleges are propagandists for the Democrat Party. Professors deliberately misstate the Conservative side of issues and also attribute nefarious motives to Republicans and Conservatives. -Silicon Valley uses its vast power to suppress conservative ideas on the Internet but air liberal ideas. -Republican politicians, with the exception of President Trump, generally do not fight back against the constant onslaught of criticism and phony allegations from their Democrat oponents. Therefore, voters hear mostly just one side criticizing the other and never even hear both sides of issues. -There is a significant amount of voter fraud, as documented by various credible sources such as the Pew Research Center. Almost all of the fraud is for Democrat candidates and explains why DNC policy is against any form of photo ID being required to vote, using the pretext that it’s voter suppression. -Most Democrat issues are phony issues, created to persuade voters to vote Democrat. These include the non-existent “War on Women”, the Left’s attempt to take protective guns away from law-abiding citizens through its”War on Guns”, blaming climate change mostly on people rather than mostly on solar flares, calling everyone a racist who does not agree with their position on issues, the Left’s war on the police, the military, and ICE, etc., etc., etc. I’ve been following politics since the 1960 TV debates between John Kennedy and Richard Nixon. Back then, both political parties were relatively honest in advocating their views. It’s much different today. 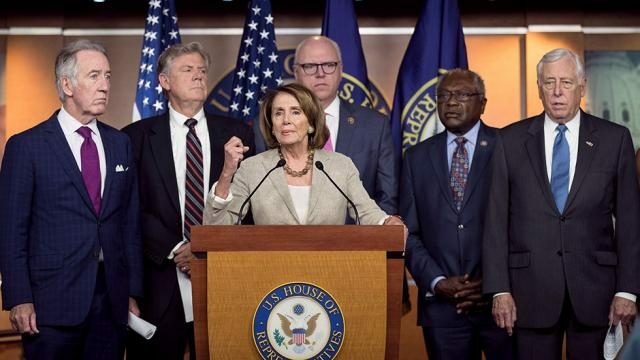 Other than being against every policy that President Trump supports, what policies does the Democrat Party stand for? Other than being for abolishing ICE, not constructing a border wall, giving all illegal aliens amnesty, a weak military, free college and Medicare-for-all, and $15/hour minimum wage, I have no idea what it stands for. Do you?